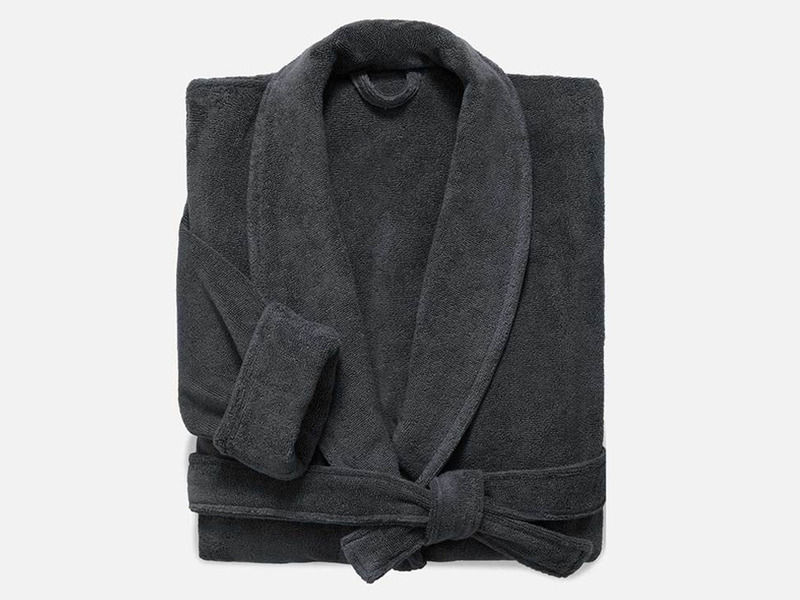 BrooklinenBrooklinen Super-Plush Robe in Smoke, $98. Beloved bedding startup Brooklinen just released an ultra-cozy bathrobe, which, at $98 is a bit of a splurge, but it's a little luxury I can stand behind. After a long day, there's nothing better than coming home, kicking your feet up, and getting away from it all. But living in a crowded city like New York and coming home to a first-floor walk-up with unpredictable heat pipes isn't always the picture-perfect vision of relaxation. That's why I've come to appreciate my little luxuries - small splurges that make me feel great and indulgent every time I use them. A nice aromatic candle, some fun face masks, and cozy slippers that keep your feet toasty are the kinds of things I crave for those "treat yourself" moments - and now I'm adding a super cozy bathrobe to that list. Specifically, Brooklinen's new Super-Plush Robe. 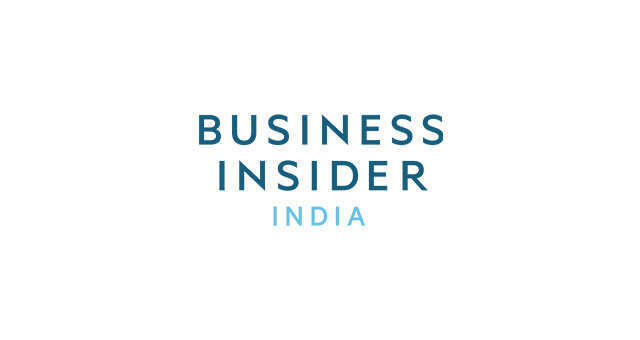 Brooklinen has already made its name as a beloved bedding startup, and the brand's recent venture into towel territory was met with just as much praise. One of our reporters was impressed by how luxurious they felt for towels that are relatively inexpensive. And it makes sense; Brooklinen is known for providing a great value by delivering high-quality products at relatively affordable prices. With all of the hype around the brand, both from my coworkers and beyond, I had some big expectations for this robe. Within moments of putting this thing on, it was clear that whatever my expectations were, this robe would exceed them. When they say Super-Plush, they mean it. This robe is so luxuriously soft, like the kind you would expect to find at a fancy spa - except you can actually wear it from the comfort of your own couch. It's thick without being too heavy, so it keeps you nice and warm when you hop out of the shower, but it doesn't smother you with heat. That's because this robe isn't made with a thick fleece, but rather 100% long-staple Turkish Cotton, a premium material that's equally soft and absorbent. Before the robe even gets to you, Brooklinen washes it with enzymes that act as softening agents so you get that just-washed, soft feeling immediately. I already had a robe before getting this one. It was a terry cloth, fleece-lined thing that I loved wearing to lounge around, but when I tried to use it in place of a towel I was unimpressed. It barely helped me dry off and I was left with a robe that would stay damp for hours. That's not a problem with this Brooklinen robe at all. As I mentioned before, it's absorbent. If you want to get technical, it has 380 GSM (grams per square meter), which refers to the towel's density. The more dense, the more absorbent, and in this case 380 GSM is pretty substantial. If you're not one for technicalities and would prefer a more personal anecdote, I've been using this robe in place of my usual towels and it does an exceptional job. Not only does the robe absorb water faster than my usual towels, but it dries super fast, so you can count on it keeping you toasty and warm - not chilly and wet. Another important thing to note is that this robe is Oeko-Tex certified, which means it's been tested and is made without harmful chemicals or production processes. If you're going to be wrapping your body in something, it's nice to know it's totally safe. It's clear that Brooklinen paid attention to all the tiniest details when designing this piece. There are just three unisex sizes to choose from - XS/S, M/L, XL/XXL - as well as only three neutral colors. I opted for an XS/S in Smoke, a light gray-ish blue color, which fits just right. There's a sturdy waist tie which helps adjust the robe's fit, whether you want it looser or tighter at any given moment. The sleeves are cuffed at the edges, though you can uncuff or cuff them even higher if you find the sleeves to be too long or too short. There's a piped collar which you can really bundle up in for some extra warmth. You'll also find two pockets on the sides, which are deep enough to actually hold something like a phone - but work just as well as a place to keep your hands when they're chilly. The Super-Plush Robe is Brooklinen's first wearable item, and it did not disappoint. I've been wearing it a lot - after a shower, lounging around after work... I've even fallen asleep wrapped up in it. It really is that cozy. While $100 might seem like a lot for an item you can't even wear outside of the house, when compared to robes of similar quality from similar brands like Coyuchi and Snowe, Brooklinen offers an average, if not more affordable price. I didn't think I needed a new bathrobe, but now this is a little luxury I don't want to go without. Cuddle up in one of these and I have an inkling you'll feel the same way.